The Martian Chronicles - Rocket Summer (January 1999/2030) - Jimmie Aaron Kepler, Ed.D. Rocket Summer (January 1999/2030) – First published in Planet Stories, Spring 1947. 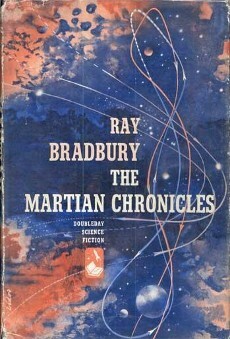 The stories of the book are arranged in chronological order, starting in January 1999, with the blasting off of the first rocket. “Rocket Summer” is a short vignette which describes Ohio’s winter turning briefly into summer due to the extreme heat of the rocket’s take-off, as well as the reaction of the citizens nearby.